Happy Mealtime Monday! It has been a busy couple of weeks! Spent a week in South Lake Tahoe, went back to work for a couple days, flew out to Indianapolis for a conference and then went to a co-workers wedding last night. Talk about two exhausting weeks! I’ll try my best to get a few pics up of the trips this week. 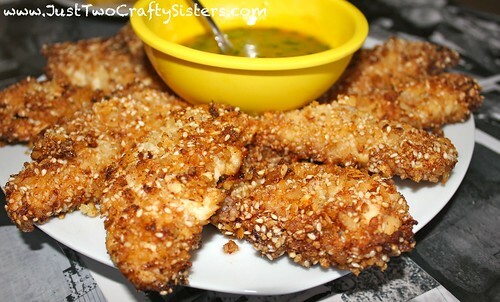 Today I am sharing a great Rachel Ray recipe, honey mustard sesame chicken tenders. Preheat over to 275 degrees. Place baking sheet in oven. 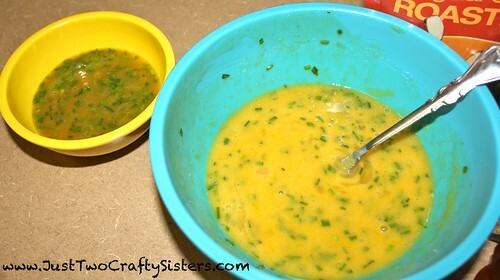 In a bowl mix together mustard, honey, chives and hot sauce. 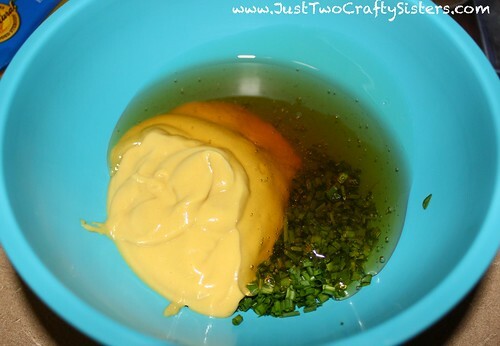 Split the sauce in half between two bowls. Set one bowl aside to be the dipping sauce. 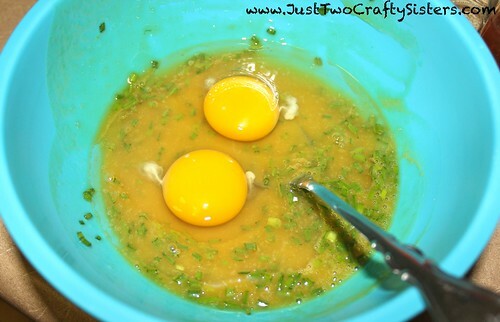 With the other half of the mixture, add two eggs. Beat to combine. So now you should have one bowl of sauce, one reserved for later and the other (with eggs) to use to coat the chicken breasts for breading. 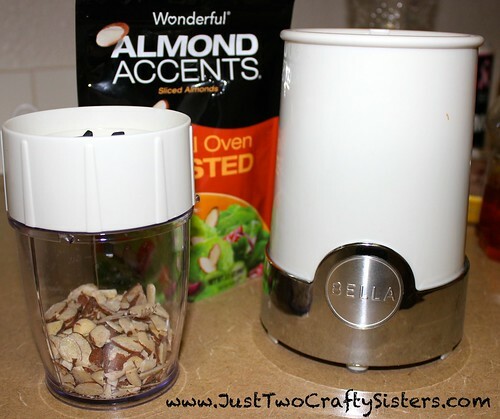 In a food processor or blender, grind the almonds. 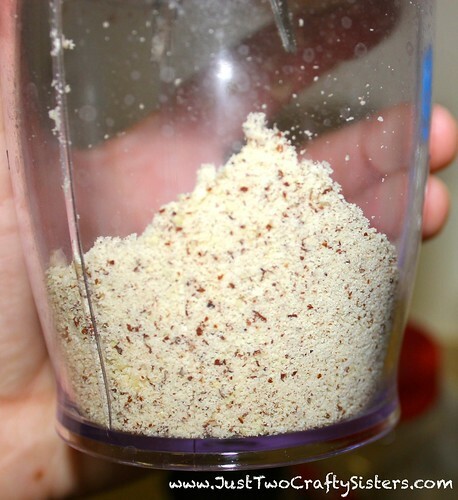 You want to make sure that there are no larger almond pieces so that it works as breading. 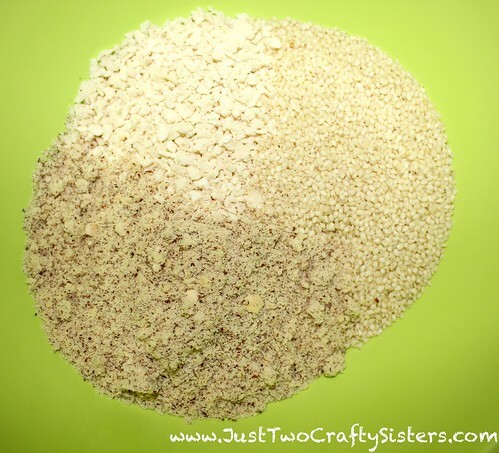 Now mix together the ground almonds, panko crumbs and sesame seeds. 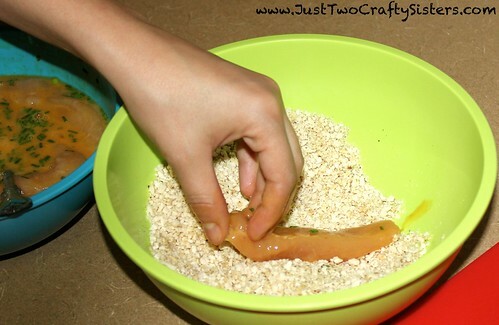 This will be the breading for the chicken tenders. 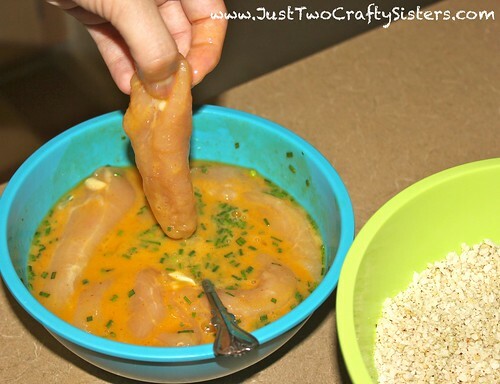 Toss the chicken tenders into the mixture with egg in it. Stir around to make sure the are coated well. 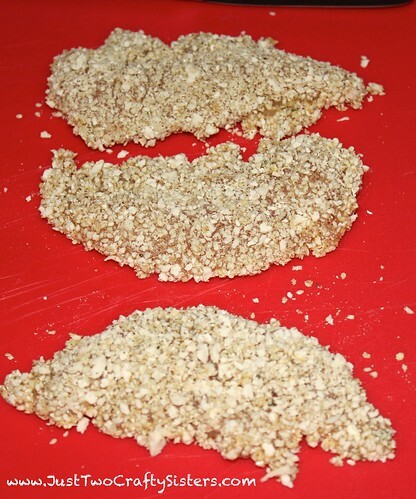 One by one, bread the chicken tenders in the nut-breadcrumb mixture. Continue until all chicken tenders are coated. Heat a layer of oil in a large skillet over medium-high heat. 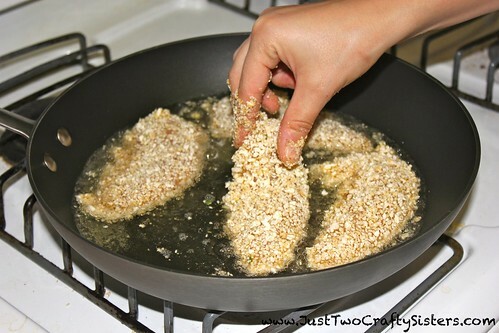 Add some chicken tenders to the pan. 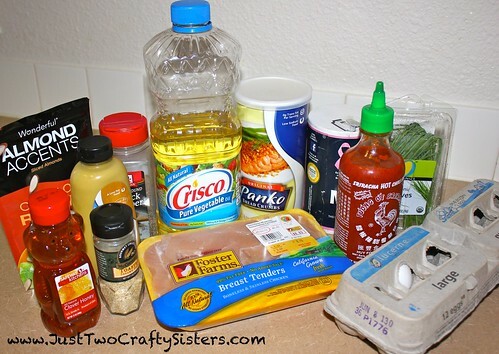 Continue frying in batches until all your chicken tenders are nicely browned on both sides. 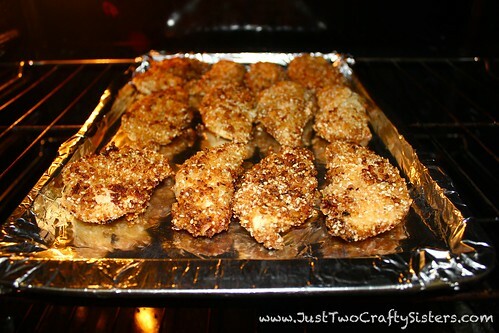 Place chicken tenders on the heated baking sheet and pop into the oven for about 15-20 minutes or until cooked through. 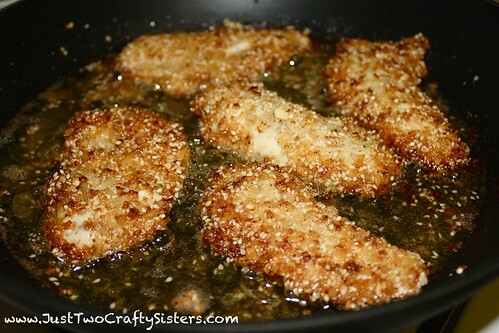 Serve with the honey mustard dipping sauce reserved from the beginning of this recipe and enjoy! We ate them as a dinner with a side of fruit, but they are also a great served as an appetizer.